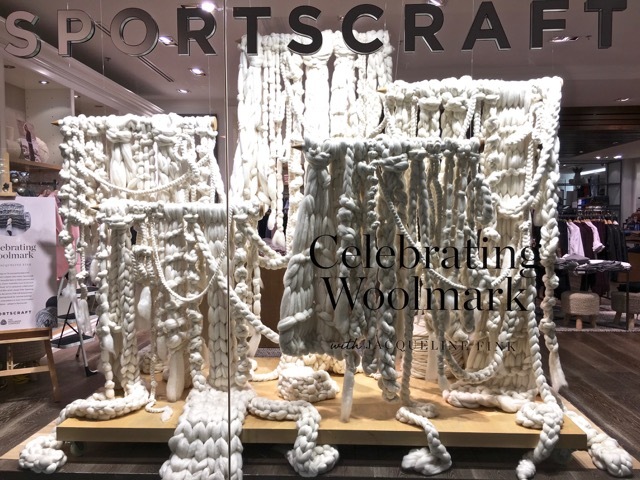 In honour of Sportscraft's decades long partnership with Woolmark, I created a window installation over four days using high quality Australian Merino Woollen Tops. The installation was created for Sportscraft's Flagship store in Westfield, Sydney. Many thanks to the gorgeous team at Sportscraft and Australian Wool Innovation for making this happen.